The actual “wrapper” of a cigar is the outermost portion of the cigar and is typically made from the larger, lower leaves of the tobacco plant. Wrapping around the cigar filler, the wrapper is what actually binds the cigar together and helps to determine the overall flavor. 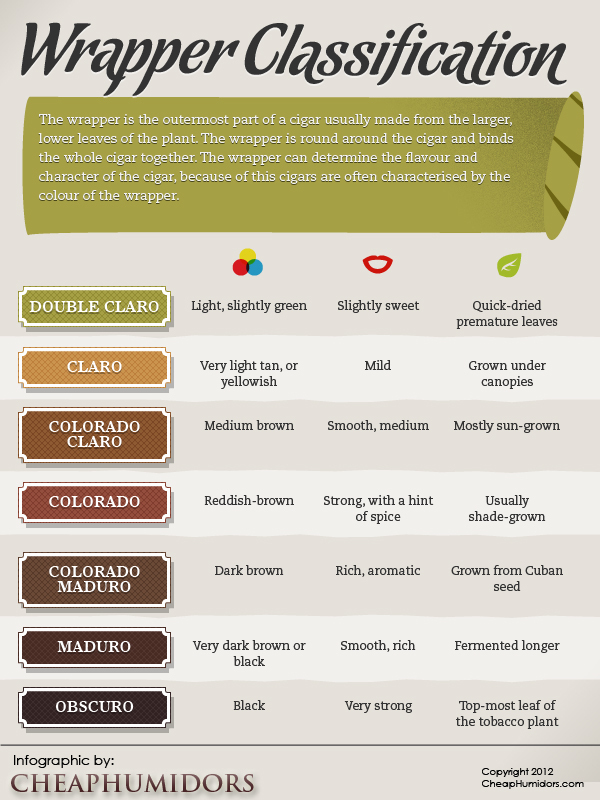 This infographic identifies different types of cigar wrappers and how they affect the cigar smoking experience.